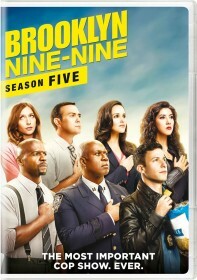 FOX has issued the press release for the second episode of Brooklyn Nine-Nine's upcoming fourth season, "Coral Palms Pt. 2", which airs Tuesday, September 27. Ken Marino (Childrens Hospital), Maya Rudolph (Saturday Night Live) and Jim O'Heir (Parks and Recreation) guest star in the episode. Coral Palms Pt. 2 - After Jimmy "The Butcher" Figgis sees Jake and Holt's viral video, the two begin plotting their attack. However, when caught red-handed, the- are forced to experience the other side of the interrogation table. Back at the precinct, a questionable new Captain (guest star Ken Marino, "Childrens Hospital") takes over in the all-new "Coral Palms Pt. 2" episode of BROOKLYN NINE-NINE airing Tuesday, Sept. 27 (8:00-8:31 PM ET/PT) on FOX.